Loved the original sonic screwdriver remote control? The company that made it, Wand is releasing two more, a limited gold and silver variant of the Eleventh Doctor's sonic, and one for the Tenth Doctor. The Tenth Doctor's new Sonic remote has the same remote control functions as the original, but is also as accurate to the prop as you can get, having been 3D scanned from the original, though some minor changes have been made to make it more affordable and/or functional. It will be previewed at Think Geek's ComicCon booth in July, and will cost £69.95 in the UK, $109.95 in the US and $129.95 in Australia. 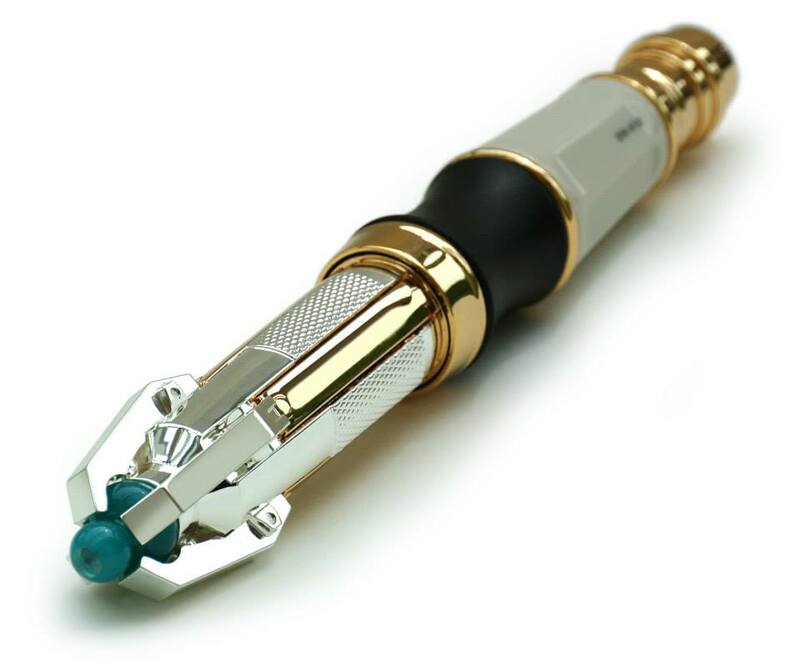 In addition to the all-new Tenth Doctor remote control, Wand is releasing a gold and silver variant of the Eleventh Doctor's sonic remote, limited to 250 units worldwide. It will be available for £119.95 in the UK and $199.95 in the US. Oh good. When The Doctor starts waiving it around to solve every problem (again) I can change the channel.